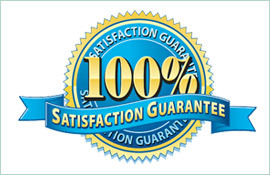 The most important thing to consider when choosing an emergency electrician in Gordon is the response time. You want to choose a company that will immediately respond to your call for help, and arrive in time to prevent undue damage to your home. Paul’s Electrical can make and keep this promise. 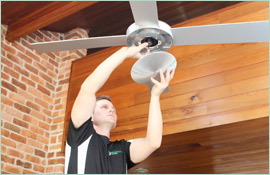 Our team of electricians is highly qualified and has been working in the industry for eighteen years. 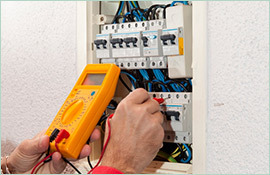 We have the skills and the knowledge you expect from an emergency electrician in Gordon. If you have experienced a total power failure, or if you hear humming coming from inside your walls then you are probably facing an electrical emergency. We are a mobile service, meaning we can get to you when you need us. 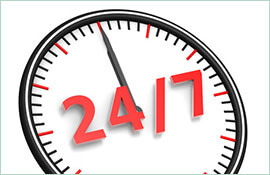 We respond immediately to all emergency calls because we value the safety of your family. Faulty wiring overcharged transformers, and lack of insulation can all be causes of electrical distress. When we arrive on site, we get to work identifying the issue. Electrical emergencies are dangerous, which is why we recommend you shut your breakers off and leave your home until we have found and fixed the problem. To prevent emergencies from occurring, we suggest that you have your electrical systems inspected at least once a year. These inspections can help identify potential problems before they turn into a disaster you have to resolve. When you need a fast and reliable emergency electrician in Gordon, get in touch with Paul’s Electrical. We pride ourselves on keeping your home safe from electrical harm.